Parents let their kids eat the scariest things. Maybe they don’t know that things that are bright blue are loaded with dyes and artificial flavorings, or maybe they don’t know those things impact their children’s health. If you have children in your life, PLEASE care enough about their health to make sure they are eating vegetables, even if you aren’t (though kids tend to eat what their parents eat). Expose them to a new veggie each week (ahem, it wouldn’t hurt to expose yourself to new things too). For the longest time apples, bananas and carrots were the only fruits and vegetables our kids ate because that’s all we bought! I later learned that they love cucumbers, peppers, celery, melons, berries and will even eat leafy green sans dressing! Who knew!!?? I don’t know that brussel sprouts will ever be a favorite, but hey…. 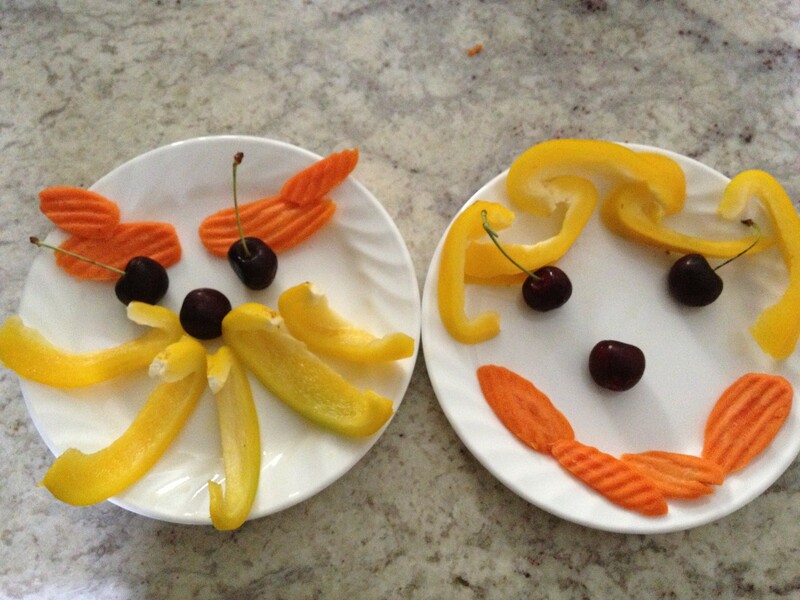 So how do you get your kids to eat more or even try veggies? 3) Include kids in the food cleaning, prep, and cooking which helps you and gets them excited about real foods! “But I don’t like [whatever new, unfamiliar thing is on their plate]”. Vegetables are not a negotiation, just as wearing a seat belt is non-negotiable, this is their health we are talking about! Eventually, like everything else they are exposed to repeatedly, these cancer-preventing, health-boosting, new foods will become part of their daily routine. And most parents who cut out the packaged foods and increase the veggies see a dramatic improvement in behavior, asthma, eczema and even report cards! Well worth a few days of fussing! Choose restaurants that offer fruit or salad instead of fries on kid’s menus too!